Incredible health benefits of pineapple, which is the most loved tropical fruit and enjoys great popularity among people around the world. 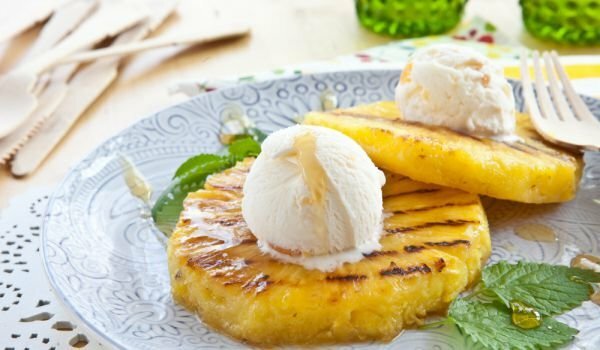 Read to learn how pineapple, this wonderful fruit, gives us so much health benefits. Apart from the rich assortment of dishes that we can prepare with pineapple, such as salads, curry dishes, rice dishes, appetizers, desserts, beverages, this great tropical fruit can bring us a number of positive effects on our body. Pineapple contains many nutrients such as proteins, carbohydrates, fiber, vitamin A, C, B1, B5, B6, folic acid, potassium, copper, manganese, calcium, sodium, magnesium and bromelain in amounts that are beneficial to health. Here are some useful pineapple qualities that we need to know about. Reduces inflammation. Pineapple has anti-inflammatory action and helps reduce inflammation of the joints, muscles and relieves arthritic pain. Increases immunity. The high content of vitamin C in pineapple helps boost immunity and acts as an antioxidant. The high amount of ascorbic acid in pineapple stimulates white blood cell activity and improves wound healing and injuries. Prevents cancer. 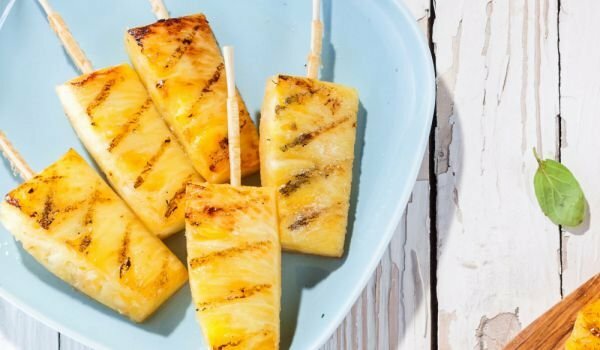 Pineapple is directly related to the prevention of oral cavity, throat and breast cancer due to its high content of vitamin A, bromelain, manganese and flavonoids. Prevents gastrointestinal complications. Pineapple prevents gastrointestinal complications such as constipation, irritable bowel syndrome and diarrhea. It also reduces the risk of atherosclerosis, high blood pressure and clotting of the blood. All this is a result of the high fiber content of pineapple. In the treatment of respiratory diseases. 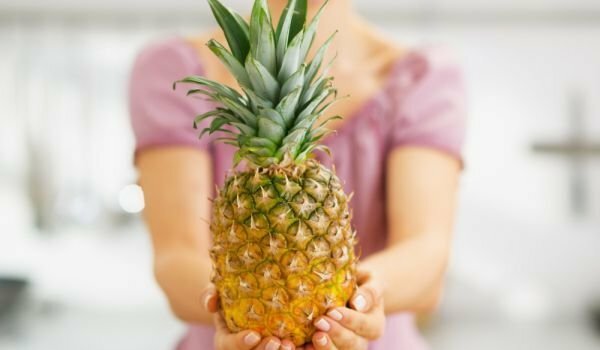 Bromelain and vitamin C contained in pineapple are useful in the treatment of respiratory diseases, accumulation of mucus and sore mucosa, cough and cold. To strengthen the bones. Pineapple contains a satisfactory amount of manganese, which is useful for strengthening bones and for maintaining growth and recovery. Reduces asthma symptoms. Pineapple is useful for reducing the symptoms of asthma due to the presence of vitamin C, beta carotene and bromelain. Helps maintain normal blood sugar. Pineapple is a wonderful fruit for people with diabetes as it improves blood sugar and insulin levels. Improves fertility. Improves fertility in men and women, as it contains vitamin A, C, zinc, copper, and folic acid. Tones and refreshes the skin. Vitamin C, present in large amounts in pineapple, helps skin toning and skin tanning. It affects acne positively, reduces skin damage, controls wrinkle formation and slows down aging. To strengthen tissues. Pineapple has firming properties, which helps to tighten tissues, tone the body, reduces hair loss, muscle weakness and relaxation of the skin. For good vision. Pineapple is considerably helpful against macular degeneration and helps keep your eyes healthy. Improves blood circulation. Pineapple contains large amounts of potassium. This, in turn, determines the vasodilating ability of the fetus, which helps us to keep our heart healthy by preventing atherosclerosis, stroke and heart attacks. Helps eliminate kidney stones. Drinking pineapple juice or eating pineapple is beneficial for dissolving kidney stones.